The Armenian Star Award is given annually by ADAA to an individual who exemplifies two or more of the following: dedication to practicing and/or furthering the arts at a high level; professional or artistic achievement in their own field/career; commitment to and advocacy on behalf of Armenian arts and artists on an international stage; and dedication to public/civic service, particularly to Armenian culture, art and causes. Mardik Martin is in the elite group of screenwriters on WGA’s list of 101 Greatest Screenplays ever written. He attended New York University (NYU) after immigrating to the United States from Iraq. Graduating with a Master’s degree in Screenwriting in 1968 and winning the Mahler award, Mardik then went on to teach at NYU from 1968 to 1973. He then co-wrote MEAN STREETS (1973) with Martin Scorsese. After the film became an international success, Mardik moved to Hollywood to continue his remarkable screenwriting career. He worked for Chartoff-Winkler Productions in the following years, writing screenplays like VALENTINO (1977), NEW YORK, NEW YORK (1977) and collaborating with Scorsese on multiple projects before writing the first three drafts of RAGING BULL (1980). Recently, Mardik co-wrote the screenplay to Faith Akin’s THE CUT (2014). Among Mardik’s documentaries are ITALIANAMERICAN (1974), AMERICAN BOY (1978), THE LAST WALTZ (1978) and MARDIK: FROM BAGHDAD TO HOLLYWOOD which was released in 2011. Mardik received WGA nominations for his screenwriting for both MEAN STREETS and RAGING BULL and in 2009, he received a lifetime achievement award from ARPA. Leah Ryan was a playwright, essayist, writer of post-modern greeting cards, and a general woman of letters. Her plays have been performed all over the United States. Her play Bleach, a dark comedy about the legacy of the Armenian Genocide, received the Maibaum Award for plays dealing with issues of social justice. Ryan taught playwriting, English, and creative writing to a wide variety of students, including those at the Laboratory Institute of Merchandising, where she was a professor in the Arts and Communications department and founder of their Writing Center, Vassar College, and New York Stage and Film's Powerhouse Theater Apprentice Training Program. Ms. Ryan graduated with honors from Smith College as an Ada Comstock Scholar, and earned her Artist Diploma in Playwriting at Juilliard and her MFA from the University of Iowa Writer's Workshop, where she won the Distinguished Teaching award. Her publications include the literary anthology For Here or To Go, and Even More Monologues by Women for Women, essays in The Best of Temp Slave, as well as work in many small magazines. Her play Pigeon was published by Playscripts, Inc. Her short work also appeared in 400 Words. 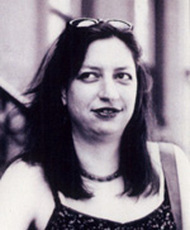 She was fiction editor and a regular columnist at Punk Planet magazine. Leah Ryan died of leukemia at the age of 44 on June 12, 2008, in New York City. The Leah Ryan Fund for Emerging Women Writers continues her legacy by supporting talented and unrecognized emerging women playwrights. David Kherdian is an internationally known poet, novelist, and memoirist, whose work has been published in 14 languages around the world. He has published thirteen volumes in his acclaimed Root River Cycle, consisting of poetry, memoirs, novels and novellas. His biography of his mother, The Road From Home, has been published around the world and has been in print for over 30 years, chronicling his mother as the sole survivor of her family during the Armenian Genocide. As an editor, Kherdian has published several seminal works including Forgotten Bread: First Generation Armenian American Writers and Settling America: The Ethnic Expression of 14 Contemporary American Poets. His most recent works include a retelling of the Armenian epic, David of Sassoun, and the multi-genre collection Gatherings: Selected and Uncollected Writings. Kherdian’s honors include The Boston Globe / Horn Book Award, Newberry Honor Book Award, Lewis Carroll Shelf Award, Jane Adams Peace Award, Banta Award, a nomination for the American Book Award, and the 1994 Notable Wisconsin Authors Award, for lifetime achievement. Arthur Sarkissian’s 30 year career has established him as one of Hollywood’s most successful and prolific producers. He has developed, produced or overseen feature films that have dominated domestic and global landscapes, with box office receipts close to $1 billion. In 1998, the “Rush Hour” movie franchise was discovered and developed by Sarkissian, pairing the unlikely duo of Chris Tucker and Jackie Chan. The first film grossed more than $140 million domestically and another $103 million internationally - making history as the highest grossing independent film released in September or October as well as becoming one of the highest grossing films in the history of New Line Cinema. So far, the franchise has grossed $880 million worldwide. Throughout Sarkissian’s career, creativity, forward thinking and entrepreneurship have been the common denominator in his formula for success. It’s this approach and ability to produce big budget blockbusters that has made him one of the most sought after producers in the business. Sarkissian began with transforming engaging stories into movie magic in the 70’s by producing films such as Beyond Reason and Wanted: Dead or Alive. In 1995, Sarkissian released While You Were Sleeping, starring Sandra Bullock, the year’s biggest hit grossing over $190 million worldwide. This summer, Sarkissian will produce The Red Circle, which is the retelling of Jean-Pierre Melville’s classic 1970 gangster film; Le Cercle Rouge. He is also collaborating with Francis Veber to remake L’Emmedeur, as well as continuing to develop new projects including the remakes for; Back to School; The Fortune Cookie and Dirty Rotten Scoundrels. Additionally, Sarkissian will re-team with While You Were Sleeping writers Fred Lebow and Dan Sullivan to produce the original feature film, Starring Vic. Recently, Sarkissian executive produced Kill the Irishman; directed by Jonathan Hensleigh, starring Ray Stevenson and Val Kilmer. ADAA’s 2010 Armenian Star Award was presented to His Eminence Archbishop Hovnan Derderian, for his dedication to supporting Armenian artists and stories. His Eminence Archbishop Hovnan Derderian, named Vahram at his baptism, was born on December 1, 1957 in Beirut, Lebanon. At the age of 13, he attended the theological seminary of the Cilician Catholicosate, in Bikfaya, Lebanon and graduated from the seminary in 1975. He traveled to Etchmiadzin, Armenia to continue his theological studies at the Gevorkian seminary. He was ordained to the order of a celibate priest by His Holiness Vazgen I, Catholicos of All Armenians, and was renamed Hovnan. The Very Rev. Father Hovnan then went to Oxford University, England, to enhance his studies in the theological field and was elevated to the rank of a Vartaped (Doctor of Theology). He was later appointed pastor of the Holy Trinity Armenian Church in Toronto, Canada and served the Toronto community for the following 6 years. In 1990, The Very Rev. Father Hovnan Derderian was elected Primate of the Diocese of the Armenian Church of Canada. On October 7, in the Cathedral of St. Etchmiadzin, he was ordained by His Holiness Vazken I to the level of Bishop and later elevated to the rank of Archbishop by His Holiness Vazken I. He served three total terms as the Primate of the Armenian Church of Canada.On May 3, 2003, His Eminence Archbishop Hovnan Derderian was elected as the primate of the Armenian Church of North America Western Diocese by the 76th Annual Assembly. Since his election, His Eminence has revitalized the Diocese by reorganizing its structure. He has created several new committees. The construction project of the Western Diocese Mother Cathedral also took new flight with the election of Archbishop Hovnan Derderian. He has worked diligently for the implementation of the Cathedral project by securing new donors and Godfathers, as well as the assignment of two committees, the fundraising and construction committees, to oversee the planning and implementation of the project. Robert A. Papazian, an Emmy Award winner for his critically acclaimed production of Inherit the Wind on NBC, is recognized as one of television's most successful and creative producers. In 1988, Papazian partnered with writer-producer James G. Hirsch to create one of the industry's most respected independent production companies, Papazian-Hirsch Entertainment. Papazian's body of work includes producing more than 80 television movies as well as miniseries and t.v. series which have garnered a total of 27 Emmy nominations and 9 Emmys in various categorizes. The partners went on and co-founded Ray-Art Studios in 1997. They sold the studio in 2005 and Robert then became CEO and partner of Sunset Gower Studios. He lives in Los Angeles with his wife Sandy and four sons. Michael Peretzian born in New York City to Harry and Mary Peretzian, immigrants who had fled the horrors of the Ottoman empire. His early years were spent in a series of seashore towns in New Jersey. Following his father's sudden death, the family moved to Hollywood, California. Here he was free to pursue his dream of attending UCLA and becoming a stage actor. It was there after earning his Master of Fine Arts Degree that Michael discovered his passion for directing. Michael's career as an Hollywood agent has spanned over 30 years. The majority of that time was spent at the William Morris Agency, thanks in part to the patronage of agent Ron Mardigian. Beginning in the 1970s, Peretzian was the film and television agent for a growing list of Pulitzer Prize and Tony Award winning clients including Medoff (CHILDREN OF A LESSER GOD) and Beth Henley (CRIMES OF THE HEART), Terrence McNally (MASTER CLASS). In 2000, Michael joined the Creative Artists Agency, where he added several top writers and directors, including Joe Mantello (WICKED), Zach Helm (STRANGER THAN FICTION), John Madden (SHAKESPEARE IN LOVE), and Anthony Minghella (Academy Award winner for directing THE ENGLISH PATIENT). He is a member of the British Academy of Film and Television Arts and the Academy of Motion Picture Arts and Sciences. Over the years Michael made time to moonlight locally as a stage director, staying true to his passion for the theater. He has worked with the Los Angeles Actors? Theatre on PHIL AND MAC by David Briggs, directing the West Coast Premiere of TALKING WITH by Jane Martin for the Mark Taper Forum Taper Too (for which he won a Dramalogue Award for Outstanding Direction). At Theatre 40, he directed productions of Michael Cristofer's THE SHADOW BOX, James Prideaux's THE ORPHANS, David Storey's HOME, and productions of Hugh Leonard?s SUMMER and A LIFE (for which he won the Los Angeles Drama Critics? Circle Award for Best Director). A true believer in the notion ?life is not a dress rehearsal,? Michael left the motion picture business early in 2008 to return to his first love - the theatre. 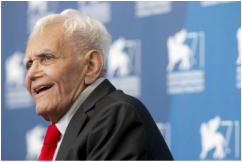 His initial effort was the world premier of RED DOG HOWLS which starred Kathleen Chalfant and was written by Alexander Dinelaris. At the Second Annual ADAA Gala in 2007, at the Star's Palace Theater in Glendale, CA, The Armenian Dramatic Arts Alliance awarded it's first Armenian Star Award, 2007, to Governor Arnold Schwarzenegger for his service to the Armenian community. Chief Deputy Director, Lisa Kalustian, from the Governor's office was on hand to accept the award on his behalf. Berge Zeytuntsian was born on July 18, 1938, in Alexandria, Egypt. In 1948, he repatriated to Armenia. Zeytuntsian graduated from the Pyatigorsk Institute of Foreign Languages in Russia. He went on to also graduate from the Advanced Courses for Screenwriters in Moscow. In 1956, his inaugural collection of works, His First Friend, was published. From 1966-68, Zeytuntsian worked as a script editor at Armenfilm, and then from 1968-75 he was the chief editor at the Yerevan Studio of TV films. He served as secretary of the Writer's Union of Armenia from 1975-86 and from 1990-91 as the acting Minister of Culture in Armenia. 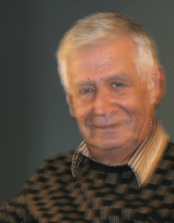 Berge Zeytuntsian is the author of many plays, some of which have been translated into different languages and staged in countries around the world.